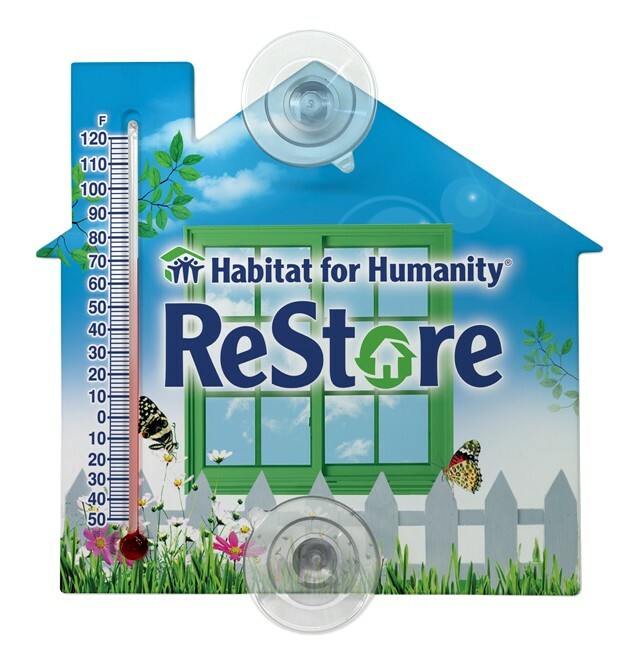 Suction cup window thermometer with Full Color Digital imprint. New House shape indoor & outdoor thermometer. Imprint Method: Digital Full Color Printing.